My family loves Christmas. I mean LOVES it! For the last several years, our Christmas decorations have come out in October. It started the year my husband was diagnosed and underwent treatment for cancer. A dear friend came to visit to help out. She asked what else she could do and I asked her if she’d help me decorate for the holidays. I wanted the home cheerful while we were going through a difficult time, and I knew that without someone else’s help, decorations were likely to not make it up that year. Ever since, we’ve continued to decorate early. My son plays Christmas carols intermittently throughout the year, but fairly steadily from September or October through the holidays. While giving gifts is one of my love languages, I have to admit that one of my favorite things on Christmas is our stockings. I don’t need much nor want much in the way of presents, but ever since I was a little girl I’ve loved the little surprises stuffed in the fur capped oversized sock hanging from the mantle. I’m always in search of the perfect stocking stuffers for my boys, husband, and in-laws. This year I thought it might be fun to share with you some of my favorite finds. (There are affiliate links in this post, meaning, if you click through and make a purchase, I may receive a commission (at no extra cost to you)). This is such a fun idea for your guitar playing, music lover. 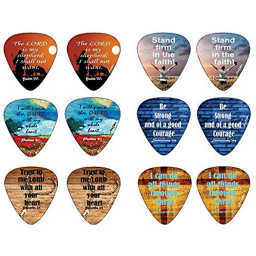 These Christian guitar picks are coated with a scene and popular Bible verses. I’ve never seen anything like them before. 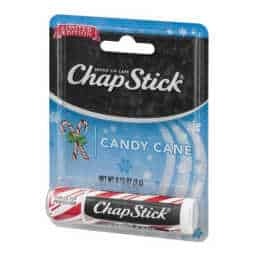 This two-pack peppermint scented chap stick is perfect for the winter weather, and will remind you of Christmas all winter long. This was a fun stocking stuffer for all my family members. 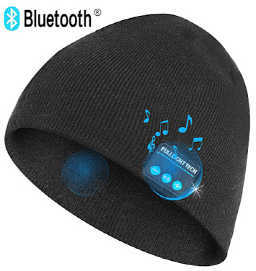 This Bluetooth beanie hat has built in headphones with stereo speakers and a mic. Perfect for men or women, kids or adults. Great for exercising outside or doing yard work during the cooler weather. Sometimes we just need something to occupy our hands or take our mind off the stress for a few moments. 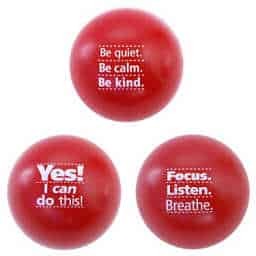 This 3-pack of stress relief toys is perfect for kids and adults. Comes in 6 different colors to choose from. Each ball has a motivational saying. This is on my list this year! I travel frequently and always wonder whether or not my luggage will be overweight. 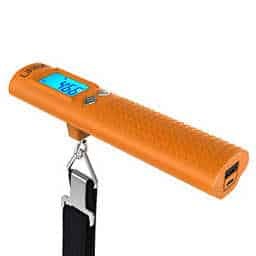 This particular 3-in-1 device not only tells you how heavy your luggage is, creating worry-free check-in, but when you aren’t using it to weigh your bags, it has a useful flashlight feature to light your way around your hotel room, and a built-in powerbank to charge your phone! Perfect for any traveler on your list! These magnetic book marks are colorful, re-usable, fun, and functional. They won’t fall out of your book like any ordinary bookmark, and can even help mark the exact spot where you stopped reading by utilizing the arrow line marker at the end of each book mark. 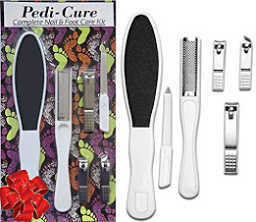 This 6 piece essential pedicure set comes in a bright festive package. Perfect for men, women, and teens. 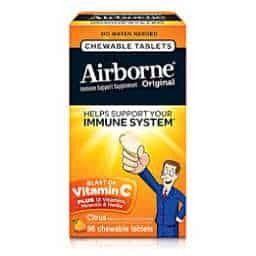 When the winter months, my family and I take a daily dose of Airborne vitamin C immune support supplement, especially when we know we’ll be travelling. Comes in citrus and berry flavors (I prefer the citrus). Also comes in an effervescent form but the chewable variety doesn’t require any beverage. Sometimes the guys on our list can be hard to find useful stocking stuffers for. 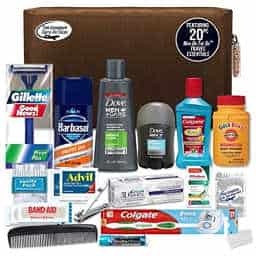 I love this men’s premium travel kit because it includes everything from a spare razor and shaving cream to bandaids and deodorant. All items are TSA approved. We need to take care of our skin, especially during the winter months. 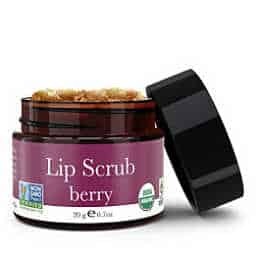 This organic exfoliating sugar scrub exfoliates chapped dry lips, and moisturizes lips. It comes in berry, mint, and vanilla flavors. 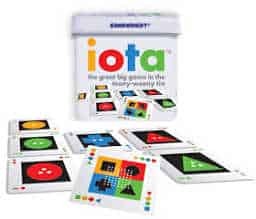 My family loves any kind of logic/brain teaser puzzles, and this set of four is perfect for kids and adults. 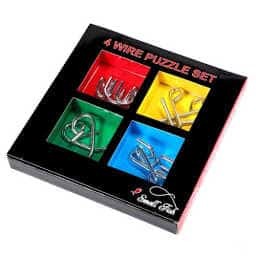 These 4 wire puzzle sets make the ideal stocking stuffer that will keep them busy while Christmas dinner is cooking. Fun for visiting guests as well. 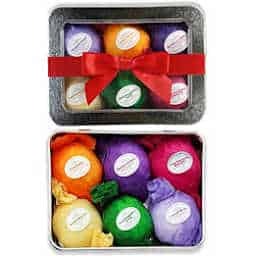 A perfect gift for when all the Christmas dishes are washed and leftovers are put away, would be a luxurious bath made even more enjoyable by one of these set of 6 fizzy bath bombs made with organic shea/cocoa to soothe dry skin. Of all my possessions, my photos rank among the most important to me. 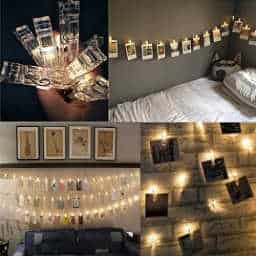 I love this set of photo clip string lights because they are a festive, inexpensive way to display photos. The string consists of 20 LED clips, is battery powered, and glows with starry twinkle lights. You might even decide you want an extra set or two for yourself! This little fill-in journal is such a sweet stocking stuffer for someone you love. It contains fill-in-the-blank lines for you to describe some aspect of your affection for a loved one. Simple prompts make it easy for you to share why you care. Several other varieties also available (What I Love About Us, What I Love About Being Your Mom, What I Love About Mom, What I Love About Dad, Why I’m Grateful For You). Great idea not just for the men in your life, but the women too. 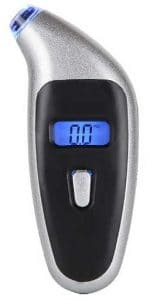 Helpful to have a digital tire gauge in your car’s glove compartment. Simple to use, and easy to read day or night. I think everyone needs a magnetic wristband tool helper in their toolbox, men and women alike. Have you ever gone to hang a picture, or screw in a screw, only to drop it? 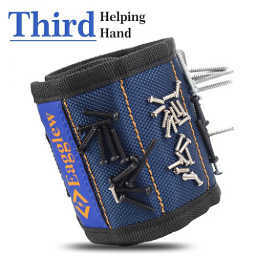 This magnetic wristband has super strong magnets to hold nails, screws, washers, etc. making any home repair job just a little easier. This nail file is perfect for anyone wanting to tend to their nails at home and achieve a shining manicure. Can be used on natural or acrylic nails. Comes in multiple colors. (Make mine blue or champagne gold). Who doesn’t love fun socks? 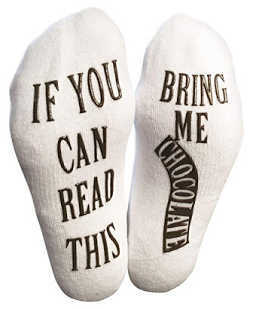 These are perfect for any sock-wearing, chocolate lover on your list! They will be on my list this year for sure! They also have other varieties too. For that person who has everything! 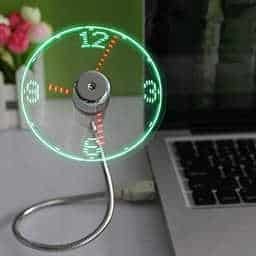 This USB clock fan plugs right into your computer or any other USB port to cool you off and keep you informed of the time while you work. 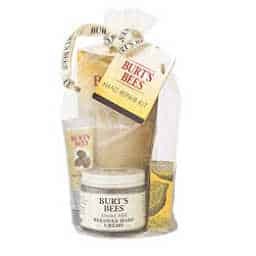 This hand repair gift set is made with all natural ingredients, and is perfect for winter. It comes with their Almond Milk Hand Cream (smells divine! ), Shea Butter Hand Repair Cream, Lemon Butter Cuticle Cream, and a pair of cotton gloves. 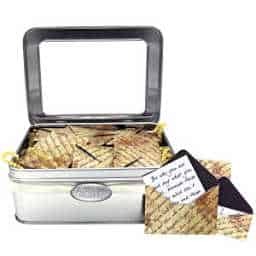 This box of messages is great for men or women. Includes 31 inspirational messages to cheer anyone’s day, every day for a month or just when they need a bit of encouragement. Such a great idea for the males or females, kids or adults on your list. 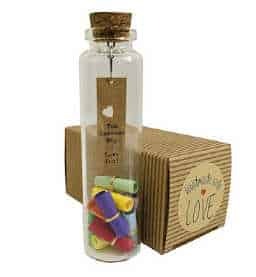 The little jar of big ideas is the perfect size to share Ten Reasons Why I Love You. Who wouldn’t love finding that in their stocking and then referring back to it throughout the year for a little encouragement? I love this. 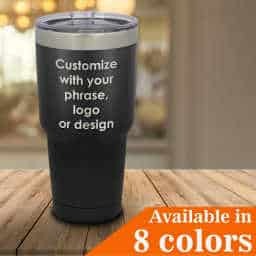 Lets you personalize a tumbler for that special person in your life with your own phrase, or logo, quote, or even Bible verse. 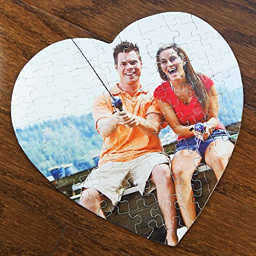 Show just how much you love that special someone by printing a custom image on this heart shaped jig-saw puzzle. Who doesn’t love a new candle? 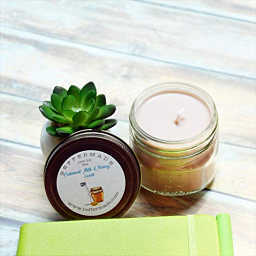 This 4 oz scented soy jar candle comes in other scents too. 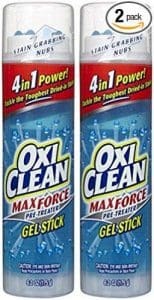 OxiClean gel sticks are perfect for anyone on the go on your list…men or women, teens or adults. I almost always have one of these in my luggage to handle a new stain before I can get home. Who hasn’t had their charging cable break? And usually at the most inopportune time. 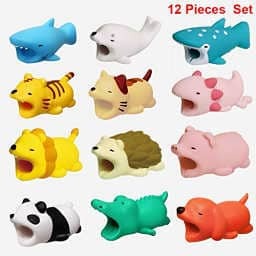 These cute cable bites (come in many different varieties) are perfect for preventing the outer part of the cable from breaking, rendering it useless. This is perfect for anyone on your list. I personally prefer as few wires around me to get tangled up in as possible. These are the perfect solution whether I am exercising, washing the dishes, or driving in the car. 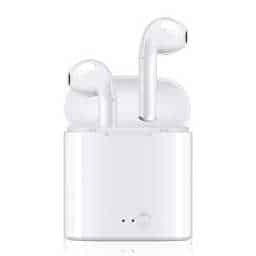 These Bluetooth wireless earbuds are noise cancelling and have 2 built-in microphones. Perfect for anyone on your list. I have one of these and have worn it out, so it’s time to get a new one. 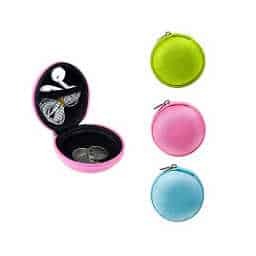 This key ring chain case is perfect for keeping your earbuds, change, and even an extra dose of medicine on hand in one small compact case that’s easy to find. You might decide to buy them for multiple people on your list and an extra for you. We own a couple of these portable pill boxes. 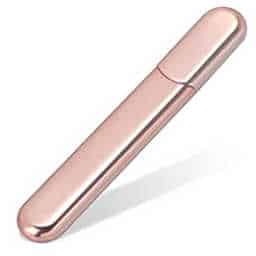 They are perfect for stashing a few dollars, or your next medication dosage. 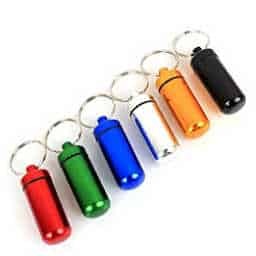 They are brightly colored so they are easy to find in your bag, and waterproof so safe to take with you to the beach or camping. They come in a 3-pack or 6-pack. 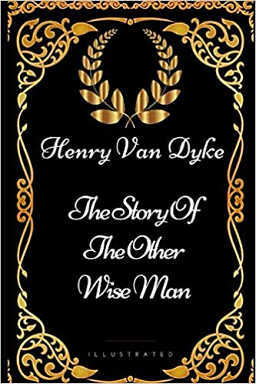 The Story of The Other Wise Man is a beautiful Christmas story about the fourth magi and his journey and sacrifice along the way. Perfect for anyone on your list. In fact, you might want to buy multiple to have on hand. This is one of my family’s favorite travel games. It’s touted as “the Great Big Game in the Teeny-Weeny Tin.” It won’t take up much room in a stocking, but it will occupy many fun hours together with family and friends! 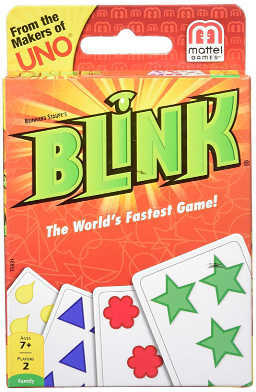 Blink is one of my family’s favorite travel games, but fun when you have a few minutes around the house too. It’s touted as “The World’s Fastest Game” and literally only takes a few minutes. Perfect for middle-age child to adult, two players. We like to compete against each other in playoffs! These are great family oriented conversation starters. We keep some of these cards in our car glove compartment for when we have to wait a long time at a restaurant, and the rest close to our dinner table at home. It’s fun to see what each other responds. How well do you know your family? 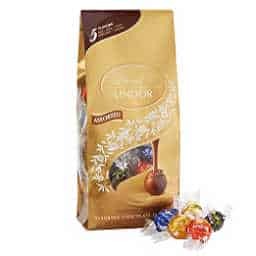 This is the assorted flavor bag of Lindor chocolate truffles, or you can find the bags of your loved one’s favorite flavor. My favorite is the milk chocolate with sea salt. You really can’t go wrong with Lindor. Well that list should give you a good start to your stocking shopping. If you have other great ideas, I’d love to hear about them in the comments below. I shop for stocking stuffers all year long, and I’m always excited to get new, fun ideas to surprise my family with. Wishing you and your family a hope-filled holiday season! 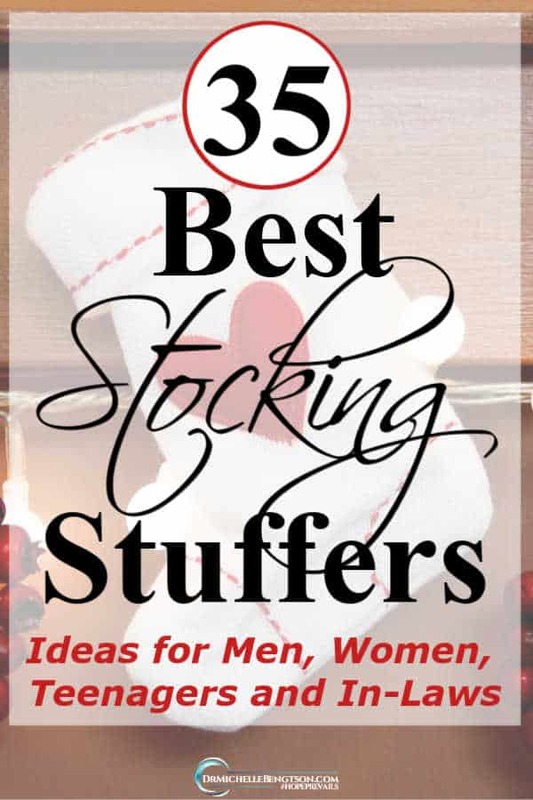 Get started on your #CyberMonday #Christmas #shopping with this list of 35 best stocking stuffers for men, women, teenagers and in-laws. Hmmm, guess who I had in mind when I picked that?? Just sayin’. You better be good! I had lots of fun putting it together. Be sure to check out my top book recommendations as well as my recommended gifts for writers. Lots of good stuff there. Aren’t those fun? Sounds like you found something to put on your list! What a great list, I see some I need and can’t do without #35. Merry Christmas! I had so much fun putting this one together! Lots of good stuff for everyone on there! Merry Christmas! I love several of these! Thanks for the ideas! And the Lindor milk chocolate truffles are my favorite. If I must confess, I’m quite partial to the Lindor truffles too…especially the milk chocolate, although I recently tried the white chocolate with peppermint and those were yummy! Great ideas! I never thought about many of these simple things. Like guitar pics for my son-in-law who’s our worship leader. Thanks! Oh Karen, that makes me happy. I was trying to include enough things so that everyone could find something for someone they love. I hope he enjoys the guitar pics!! Merry Christmas. So glad to hear you enjoyed this list. We always love stockings on Christmas, so I had fun finding some treasures. Hope you find something special for you and the ones you love. 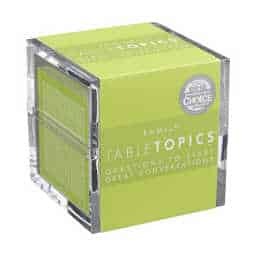 The table topics ARE great conversation starters. We used them often when our kids were younger, and we had to wait for our meals in restaurants. I like the self-care items the best. Anything that someone can use is always at the top of my list. Alice, I think self-care items are good practical items, and too many people don’t take the time to take care of themselves, so it gives them a reason to. Great ideas! My (adult) sons were disappointed when we stopped doing stockings. Maybe I will start the tradition again this year! I don’t think we will ever stop stockings. Our family just loves them. And I love finding little treasures to surprise them with. I hope you’ll enjoy them too if you start up the tradition again. oooh, I like this, thanks for doing all the hard work and pulling these ideas together – there are a few I will be adding to my cart on Amazon. Blessings my friend and a very Merry Christmas to You! So glad you found a few goodies. It was a bit of work, but fun at the same time. I always like finding new treasures. Nice to meet you and thank you for finding “Oh My Heartsie Girls Friday Features Linkup” this last week. This week I am featuring your post on our party!!! Hope you will stop by and check it out and share again. Be sure to check our the feature on Instagram @ohmyheartsiegirl and please follow there. Have a lovely week, Holiday Greetings!! Hi Karren! Thanks so much for the linkup and the feature. So nice to get acquainted. May you enjoy the best of the season!